Andy Rubin’s new Essential Phone launched recently, the handset comes with some impressive specifications. 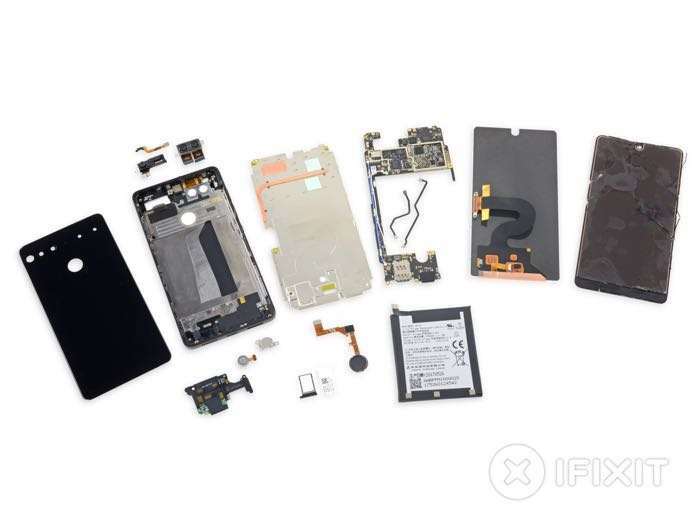 The guys from iFixit managed to get their hands on the device and decided to take it apart, it will be interesting to see what they find inside the new Essential Phone. The Essential Phone comes with a Qualcomm Snapdragon 835 processor and has 4GB of RAM. The device features a 5.7 inch display with a Quad HD resolution of 2560 x 1440 pixels. The handset comes with 128GB of storage included and it features high end cameras on the front and back. On the front of the handset there is an 8 megapixel camera for video chat and Selfies and on the rear there is a 13 megapixel camera for photos and videos, the device comes with Android Nougat. The guys from iFixit use a repair index of n1 to 10 to score devices. 1 means that the handset is very hard to repair and 10 means that it is easy to repair. The Essential Phone only managed to score 1 out of 10, this means that the handset is very hard to repair, you can find out more details about this at the link below.